These days, it is not unusual to see a couple where the man is younger than the woman. Is this just a coincidence, or is it a natural tendency? Let's take a closer look. Why do women choose men who are 5, 10, 15, or even more, years younger than them? We'll start by saying that, depending on the age difference, the reasons can vary greatly. As an example, let's consider a relationship where the woman is between 35 and 50 and the man is 8-15 years younger. By that age, the woman already knows exactly what kind of man she wants to be with. If she doesn't find a man with those qualities in her own age bracket, she will choose someone younger. And it isn't unusual that the younger man is the one who took the initiative in expressing interest in a relationship. Many women find it quite nice to have a young, passionate lover. Sometimes it's hard to resist! But Why Do Women Like Younger Men? 1. Young men are often more romantic. 2. They can be in a long-term relationship and attentively take care of their partner. 3. They are often more respectful. 4. Such relationships raise a woman's self-esteem and flatter her vanity. 5. A large age difference between partners can mean sexual compatibility. Both the younger man and the older woman are at their peak sexually. 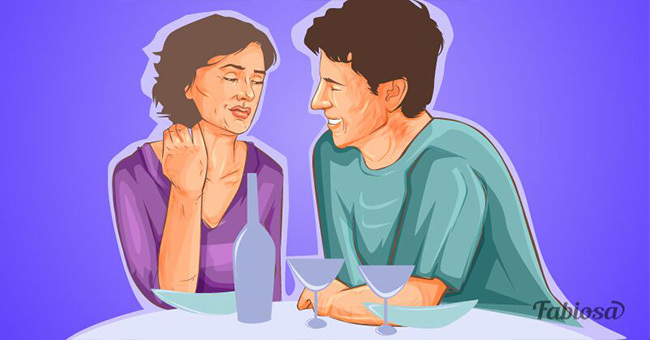 For men, this occurs between 16 and 30, and for women, between 35 and 45. 6. Such relationships are always more passionate. 7. A young man will often evoke gentle, maternal feelings in the woman, although she may not even realize it. 8. An older woman is less competitive and more easily overlooks personality flaws — "After all, he's still very young." 9. According to some women, a younger partner is easier to "train to be the way I want him." 10. The woman feels younger, both physically and emotionally. She is more motivated to take care of herself and look younger. 11. Despite their literal age difference, the couple may be very compatible psychologically. 1. Either one could become pathologically jealous. 2. When growing up, a boy looks to his "mommy" to help him solve his problems, and now he is paired up with someone who is the same age. 3. The woman gets tired of trying to "match" her younger partner, putting a lot of effort into staying young-looking and beautiful. 4. Criticism from relatives and/or society. 5. Often, with the passing of time, the couple grows apart. At first, the man may always want to be with his woman, but later on the woman may have to do everything she can to hold onto her young lover. 6. Difficulties in the circle of friends. His friends are not interesting to her, and hers are not to him. 7. People from different generations often have different views when it comes to important aspects of life: home, attitude toward money, children, parents, etc. This often leads to conflict in the relationship. 8. Men who are in long-term relationships usually want to have children at some point. The woman may already have children of her own and doesn't want to go through that again, or her age may prevent her from doing so. So Is It a Good Idea for Women to Get Involved with a Younger Man? There is always the possibility that you will encounter problems, but who is to say that won't happen with someone your own age? No one knows if the romance will last a month or an entire lifetime. But if you are afraid of problems, you may be depriving yourself of the chance to have the greatest love story of your life. Or, you may be avoiding the biggest disappointment. The choice is yours.